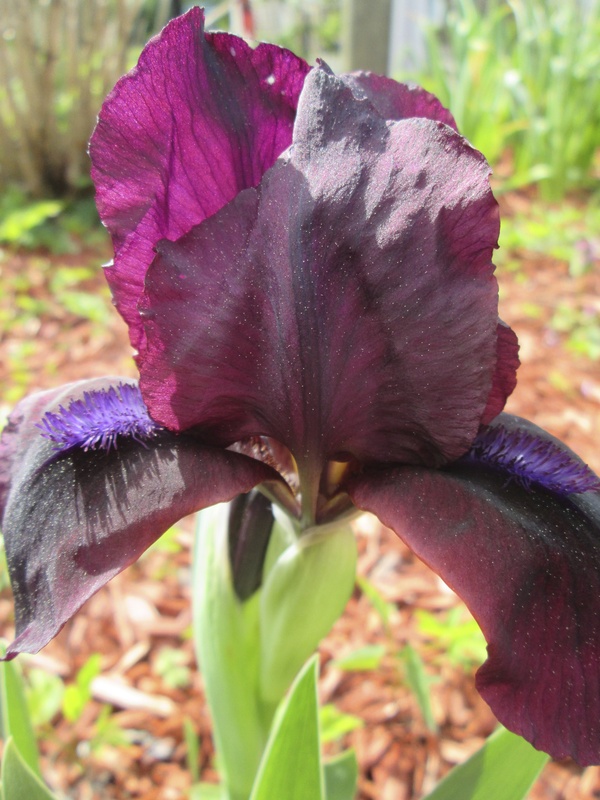 This beautiful, dark purple Iris bloomed in early May in my home garden. Iris, as a flower essence, has long been known to assist in connecting with creativity and artistic pursuits. This dark purple, bearded Iris can take you deeply into inner vision, and stimulate your Artist’s Eye. Spend a moment gazing at Iris ~ allow the Iris energy to sink into the 3rd eye, and see what inspiration may come. 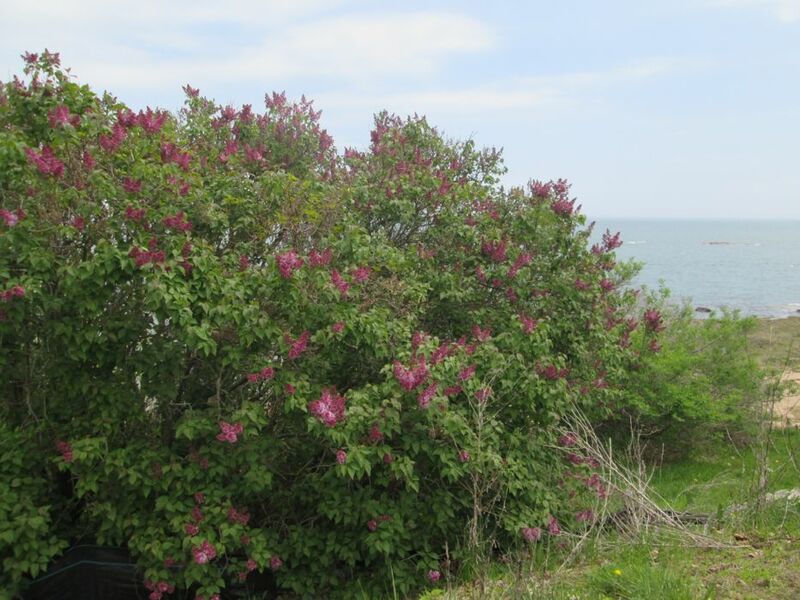 Later in May, having recently run out of Lilac essence, I was delighted to be invited by a large, old Lilac Bush by the Sound to make a new Lilac Venus Elixir from her bloom. 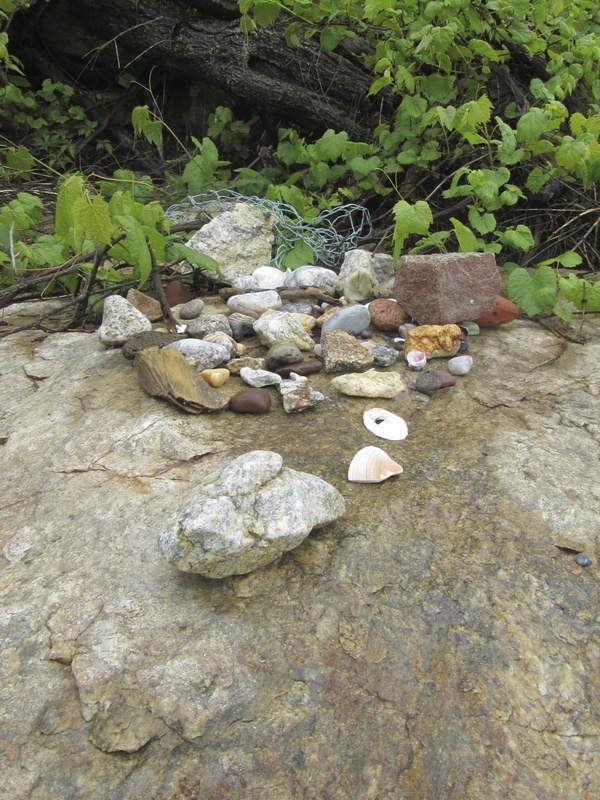 She is located a short distance from the Archangel Metatron Apachete** (a beacon of divine masculine and divine power energy). Lilac is an old essence, very supportive of the spine, one’s uprightness and energies of positive self-esteem. Lilac is also known to assist in co-creative endeavors. 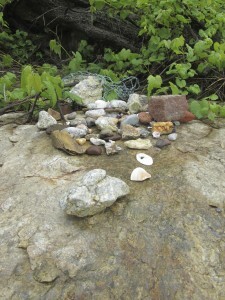 So it is, that this particular Lilac essence was made in synergy with the energies of Archangel Metatron this May, shortly after the energy of Metatron’s Cube was grounded at my home, and connected down to the Metatron Apachete, from the apachetes at my house. Spend a few moments gazing at both the Apachete and this Lilac. If you wish, invite Lilac and Archangel Metatron to communicate with you a sense of this upright and supported spine ~ core energy. Let your experience of this Energy infuse your heart, and ground down through you. **Want to know what an Apachete is? Go to www.EvolutionaryProcess.com and click on the “Apachete” button at the top of the home page.